Langtang Valley is situated north of Kathmandu between the Himalayan ranges and a slightly lower range of snowy peaks south of the Tibetan border. Langtang Valley Trekking takes us into high alpine yak pastures, glaciers and moraines around Kyanjing Gompa and offers us an opportunity to explore ethnic villages and diverse flora and fauna. In the Langtang valley trek you will find a small settlement of Sherpa people whereas the lower part of the valley such as Dhunche, Bharkhu and Syabru are mainly inhabited by Tamang ethnic group of people there is other trekking route tamang harritage trail trek. Both these ethnic groups of people follow Buddhism and practice their respective culture and tradition. They earn their livelihood herding yak, sheep and producing buckwheat, potatoes, wheat and barley in the fields. Their houses are made of stones and wood protected with flat zinc roof that has lots of stone placed on top to secure them from flying. According to legend, the Langtang valley was discovered by one Buddhist monk following a runaway yaks. This is how the name-Langtang word is derived, Lang means Yak and tang means to follow. 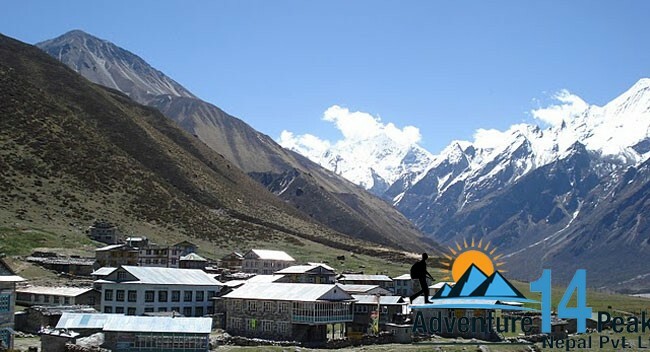 Langtang Valley Trek can be completed in 9 days starts and ends in Kathmandu. We begin the trek from Dhunche heading uphill to Lama Hotel and Langtang village until we arrive at the famous Kyanjing Gompa. Here, you will find Yaks everywhere. The view of Langtang Lirung and its glacier is beautiful. En route you will pass by the cheese factory and the ancient old monastery. From Kyanjing Gompa you can hike early in the morning up to Kyanjing Ri (4773m) and enjoy the view of the Langtang Lirung becoming orange and slowly turn to white. After exploring the Langtang valley, we retrace the same route to Syabrubesi from where we catch a transport and drive back to Kathmandu. Langtang Valley Trekking is a highly recommended medium- hard trek that can be arranged throughout the year. 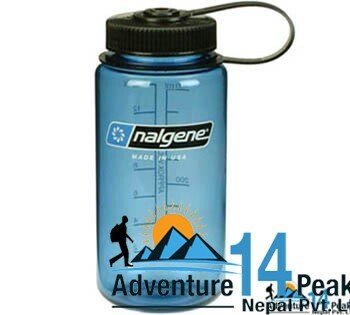 Adventure 14 Peaks organizes all tours and treks all over Nepal according to the clients' interest, time and budget. Early morning we visit to Tserko Ri (5000m for mountain sunrise views. We are saying good bye to the mountains as journey in Nepal comes to an end today! . Approximately 3 hours before the scheduled flight a representative from Adventure 14 pesks will take you to the airport. On your way home you'll have plenty of time to plan your next adventure in the wonderful country of Nepal.